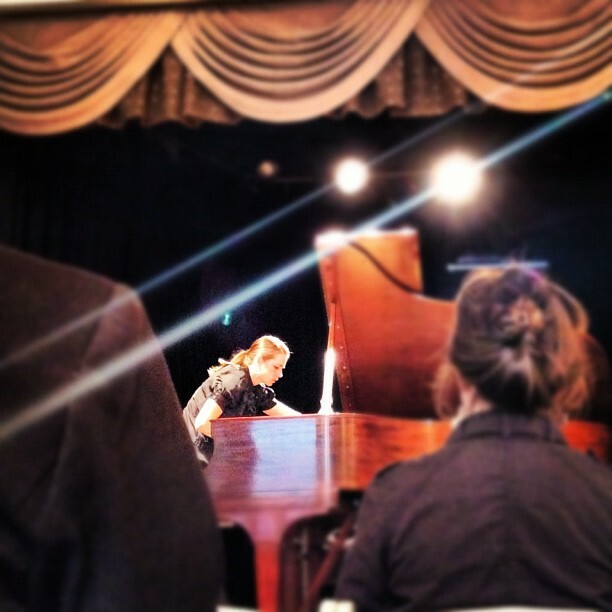 Shelby Sender received her Doctor of Musical Arts degree in Piano Performance at the University of Maryland in 2013. She is active as both a solo and collaborative pianist. In March 2012, she performed in Carnegie Hall’s Weill Recital Hall as a part of the Adamant School of Music’s 70th Anniversary Concert. Shelby was featured in a 2011 festival at Ithaca College commemorating the 200th anniversary of Franz Liszt’s birth, and she recently gave world premieres of works by Walter Gieseking at the American Musicological Society’s 2009 annual conference. She was the concert accompanist for the Washington Youth Choir from 2008-2009, and has appeared on multiple occasions with the Annapolis Chamber Players. Shelby can be heard on an upcoming Centaur recording of unpublished works by Walter Gieseking, playing both solo and chamber music. As an alternate for a Fulbright Grant to Hungary, she studied during the 2010/2011 academic year under Kálmán Dráfi at the Franz Liszt Academy of Music in Budapest. In Hungary, she gave performances in Bartók Hall at the Institute for Musicology, and the Régi Zeneakadémia at the Franz Liszt Memorial House and Museum. In 2011, she was invited to perform at the Haus der Kulturen der Welt and the Universität der Kunste and as a part of the European Fulbright Conference. Shelby received her Master of Music degree from the University of Maryland and her Bachelor of Music degree from Ithaca College. Until recently, she was the coordinator for the class piano program at the University of Maryland, where she also taught class piano and gave private lessons to piano minors. She currently maintains a private studio in Central Virginia and works as the choral accompanist at St. Anne’s-Belfield in Charlottesville. She is also on faculty at the Crescendo Summer Institute in Tokaj, Hungary, Recent teachers include Bradford Gowen, Read Gainsford, and Jennifer Hayghe.